Michael J. Griffith is a family law attorney in Pensacola, Florida with over 35 years of experience representing individuals in divorces and child-related matters. Even for those couples that have a premarital agreement in place, dissolution of a marriage or domestic partnership will usually result in conflicting claims to certain assets, and conflicting desires to raise and spend time with the couple’s children. These conflicts are where having an experienced divorce attorney on your side can make all the difference. Attempting to negotiate or litigate without a firm grasp of the relevant property, tax, and family law implications of a divorce can leave you wondering how it all went wrong. Our Pensacola attorneys empathize with our clients’ needs and wants, and truly care about obtaining a satisfactory outcome in every single case. When you choose to work with Michael J. Griffin, P.A., we will take the time to understand the facts and issues that are important to you, and then use this understanding to develop a fluid strategy designed to achieve your objectives. 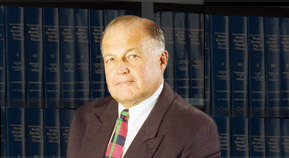 Located in Pensacola, Michael J. Griffith, P.A. also provides comprehensive and compassionate legal representation for spouses needing to negotiate parenting plans and enforce or modify child support awards throughout the State of Florida. Following a revision in 2008, Florida law favors shared parenting under most circumstances. It also favors allowing the parents to work out a mutually-acceptable parenting plan, rather than leaving it to the courts to decide your children’s future. With a negotiated or mediated parenting plan, you and your spouse will decide on a mutable arrangement for sharing parental responsibilities, custody, and visitation time that ultimately serves the best interests of your children. Child support awards are based on a combination of factors, including the spouses’ respective income and expenses, custody rights, and the children’s standard of living during the marriage. If your spouse is not making child support payments, there are a number of different methods for enforcing your right to payment. If you are seeking to modify child support, you will need to be able to demonstrate that a substantial change in circumstances has affected either (i) your ability to pay or (ii) your children’s needs. Michael J. Griffith can help you build your case for modification, and he will fight for you in court to make sure that you aren’t obligated to pay more than your fair share. Contact Michael J. Griffith, P.A. today to discuss filing for divorce, modifying child support, or enforcing your agreed upon parenting plan.